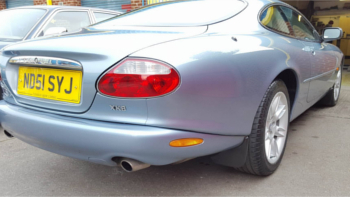 Throughout the years we have worked on most Jaguar vehicles. As a result we have seen common problems inherent to particular models. It is always worth investigating these issues prior to parting with your hard earned cash! We have put together a comprehensive buyer's guide to help keep your ownership of your Jaguar pleasurable. There are probably still a lot of sensible examples of this model, in various engines sizes (3.6, 4.0, V12) out there. Early versions included onboard discs, shocks and springs, which can be an issue if they're not parallel to the floor as these parts are hard to sources nowadays! The rear trailing arms will eventually turn to weetabix! The electrical connectors suffer from the usual rust issues. Personally we think the 4.0 face-lift and the Celebration variant were probably the best version of this model and still turn heads today! If well looked after, this is a great car as it is great to drive! Available in engine sizes 2.9, 3.2, 3.6 and 4.0, the J40 is an awfully well built vehicle. 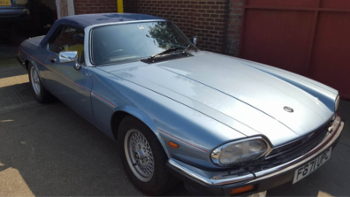 Our owner, Alan, had a 3.6 version of this model back in 1987 and has always said "It was pleasure to drive". It features its own onboard diagnostic software and adjustable front wheel bearings, unlike the modern sealed units, and its metal bumpers and brackets are built to last. 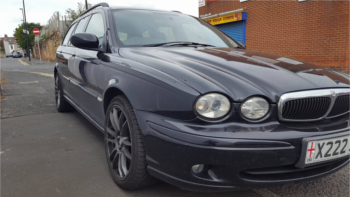 Although this model does suffer from rusty wheel arches, front sub-frames and front lower wings, it still drives like a proper gentleman's car. The X300, available in engine sizes 3.2 and 4.0 litres, was only produced for three years as a derivative of the J40. Unfortunately it suffers from the same rust issues as the J40, especially in the rear wheel arches and lower front wings. Other issues include cracks appearing in the exhaust manifold over time, tired suspension, cheap and nasty bumper brackets, suspension coils that can fail, and the rear exhaust box does tend to rust away. The X300 has a softer feeling drive when compared to the J40. The 4.0 variant is probably the best of the two engine sizes as it drives itself. Daimler has the usual extra wood touches and picnic tables. The 4.0 supercharged version is a harder ride and a beast under the throttle. It does have bigger wheels and a stainless rear box, but it has a strange ABD / throttle arrangement - these are rare but there are still good examples out there! 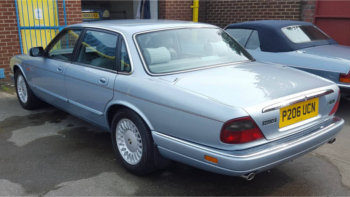 The XJ8 is the same shape as the X300. It has a V8 engine, available in sizes 3.2, 4.0, and 4.2 litres. With this car the straight six valves were dropped in favour of the early Nikasil engines. This is not a problem now as sulphur is no longer found in fuel. This car suffers from the same rust spots as the X300 - a Jaguar theme perhaps? The front wheel bearings are sealed units and the ABS stator ring requires specific tools in order to be removed. Some things to be aware of include - the roller bearings are made of plastic and the shock bushes tend to rattle the gearbox (now the "sealed for life"). Gone is the dipstick where you could easily check! There are still a few of these around and they bring a smile to any driver's face! 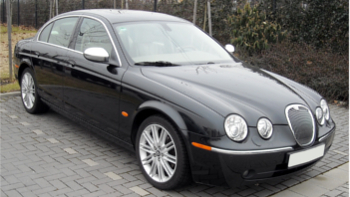 The XK8 is a two door coupe. 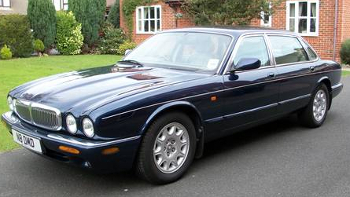 Some say it is the best classic Jaguar. Seating 4 adults, you can take your luggage with you in the spacious boot, although it is tight for space in the back. Later models had nicer padded seats. The satellite navigation was never brilliant, but the iridium plugs had a longer life and better spark. The soft top format is probably a little noisier and has a bit "bendy" feeling at the front but from all angles a very pretty vehicle! Air con is a must especially in black and our tropical climate people seem to favour the early models - nicer lines apparently! The rear arches do suffer from rust but replacement arches are widely available. The rear tub above bumper is prone to rust too and we advise to check the front of the rear wheel arch and floor sill for rusting also. The XK8 can have timing chain issues, which should be monitored. The supercharged version has two fuel pumps, which do fail individual coils. With this car you should allow the temperature gauge to move prior to turning off the engine as it will save you a lot of frustration. The gearbox is sealed and most people have it serviced at 50,000 mile intervals as it saves replacing the entire unit, which can be costly. The battery voltage is crucial in these and first sign of issues is the driver having to constantly reset windows constantly. Available in engine sizes 2.5, 2.7, 3.0 and 4.0, the S Type is a throw back to the old and is based on the US Lincoln. 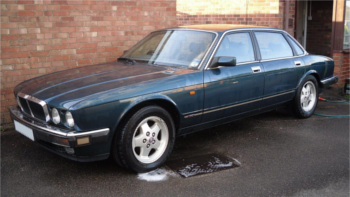 Early models, in particular the V6 3.0 litre petrol version, suffer from front ball joint suspension leg issues. The header tank is also prone to splitting and the usual rust forming on the wheel arches is a problem. Later models, which featured an electric handbrake often have problems with the rear calipers seizing. This car is easy to get in and out of as the doors are large. It is a very under rated vehicle and possibly confused with the build quality of the X Type. The diesel version features a Diesel Particulate Filter (DPF) and as such bouts of motorway driving are essential in order for the regeneration cycle to take place. Therefore, the diesel version is not for stop/start driving around the doors, but rather a proper motorway miles and miles of smiles car. The X Type is the baby Jag. Unfortunately, it does not have the best build quality of the Jaguar range. We highly recommend undersealing the sills to prevent them rotting away before your very eyes! The front wheel drive version has issues with the turbo, clutch and transfer box. There is limited access within the engine bay, the rear brake calipers are supplied by Toys R Us and the diesel version does tend to clatter! The later face-lift is often called the Mazda Mondeo and probably the best of the bunch. We're not a fan of this one, but it is still a very pretty looking car and cheap as chips.